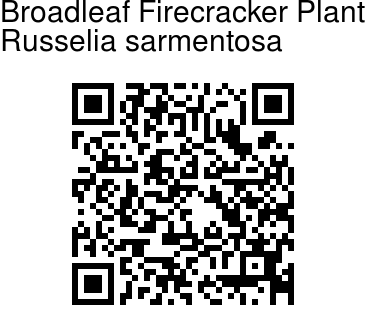 Broadleaf Firecracker Plant has a similar growth habit to R. equisetiformis but has broad leaves. 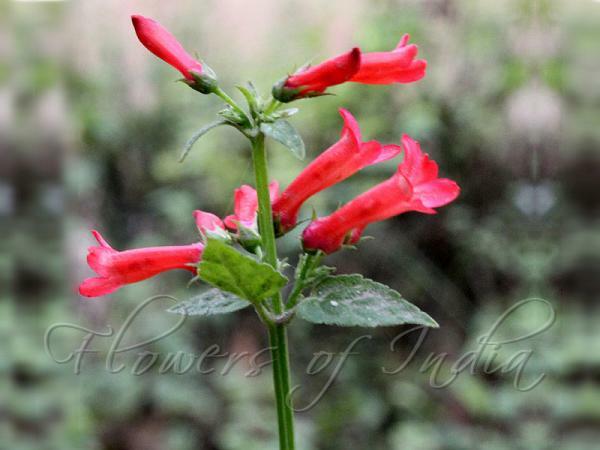 Red flowers are borne in dense clusters at the ends of the stalks. It is somewhat drought tolerant but responds well to irrigation. It is shrub up to 2 m tall with 4-6-angled stems. Leaves are ovate, up to 7 cm long, toothed along margin, resinous-dotted. Attracts butterflies and hummingbirds.